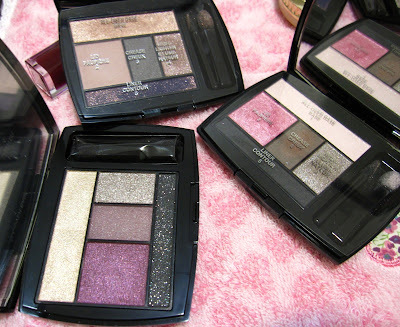 Recently, a friend visited the US and helped me to pick up another three Lancome Color Design Eye Brightening All-in-one 5 Shadow & Liner Palettes: Mauve Cherie, Violet Sweetheart and Rose Coquette. Rose Coquette (US$48) includes a pale beige with micro flecks of iridescent shimmer, a bright metallic pink, a matte muddy brown, a shimmery taupe and a matte charcoal black. The fresh bright pink is more vibrant with better color payoff than the pink shade in the Pink Envy Color Design Palette. The beige shade reminded me of MAC Vapour. It gives a soft dreamy finish without looking chalky. The taupe has a lovely lustrous glow while the charcoal black shade is well-pigmented and makes a good liner shade or for adding a touch of smokiness. 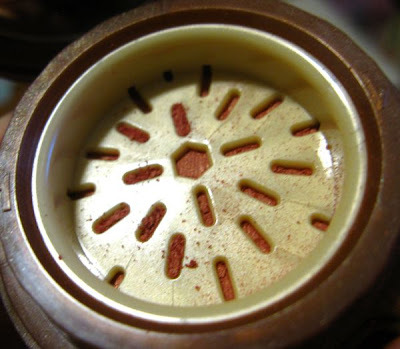 The dull brown shade is the least interesting of the lot. 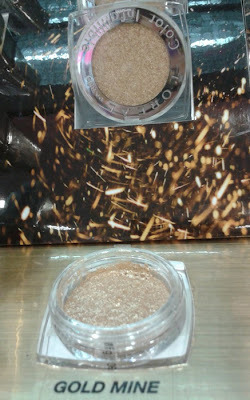 Using Too Faced Shadow Insurance as the base, I used the broad sponge applicator to apply the beige shade over the browbone area, the pink shade on the inner half of upper the lid and the silvery taupe shade on the outer half of the upper lid and along the lower lashline. 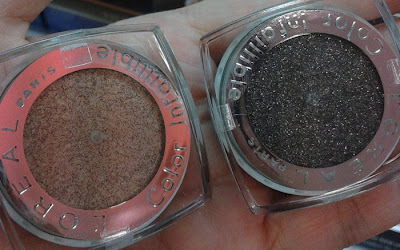 I used the charcoal black shade to liner the upper lashline and the flat brown shade in the outer half of the crease. 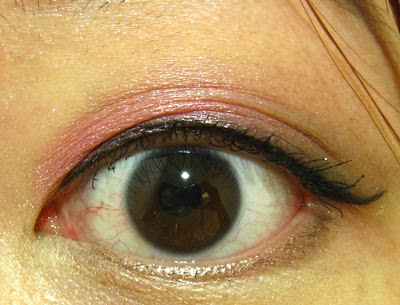 I finished by lining the upper lashline with Stila Sparkle Waterproof Liquid Eye Liner in Sequins and applying Visee Lash Upswing Volume mascara BK001. 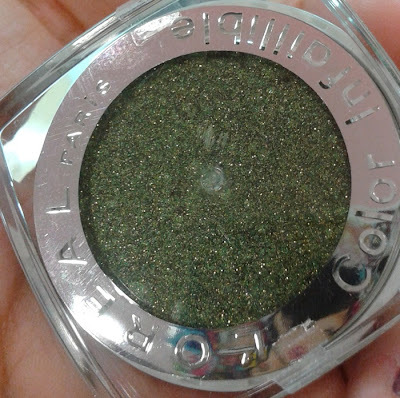 Aside from being very easy to apply and blend, the eyeshadows also lasted well over more than 8 hours of wear without fallout or creasing. 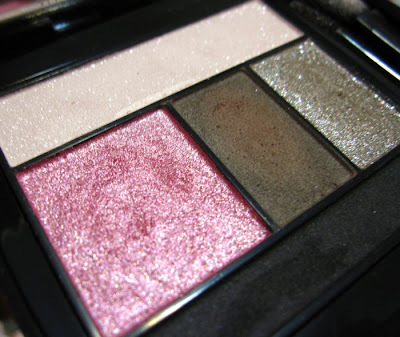 I'm a big fan of the Color Design palettes as the slim lightweight compacts are very convenient for travel and the shades are usually very easy to work with and well-coordinated without being boring. 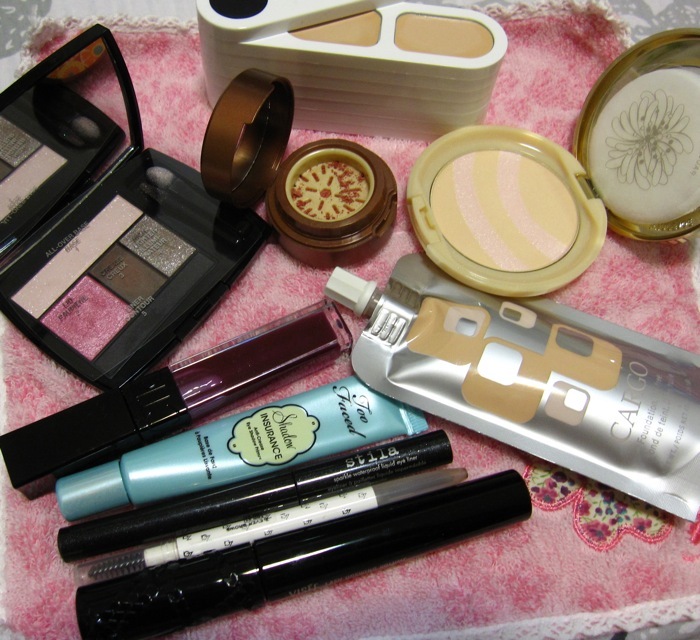 For the rest of the look, I used Cargo Foundation Oil-Free F-20 topped with Paul & Joe Ornamental Face Powder, Elizabeth Arden Pure Finish Mineral Cheekcolor in Sunkissed Rose, Addiction Lipgloss in Jealousys, Za Ever Brows BR21 and Fred Farrugia Concealer 05. The Paul & Joe Ornamental Pressed Powder (S$67; 7g) is a light beige finishing powder with two shimmery pinkish beige strips for a glowy effect. 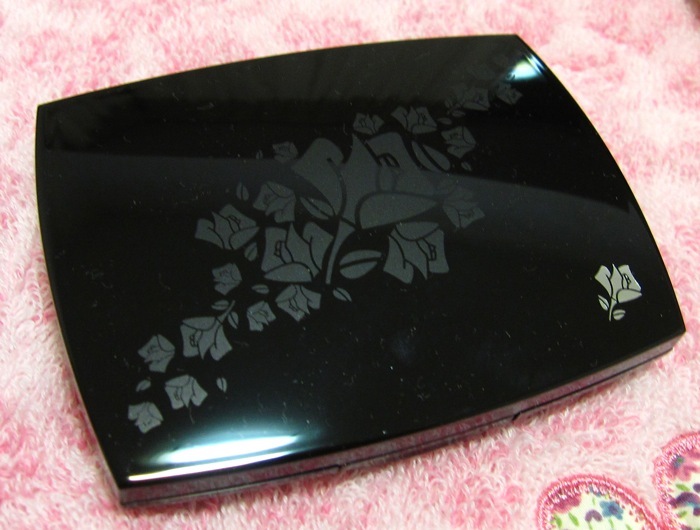 It makes the skin look more polished and smooth but doesn't provide much oil control. 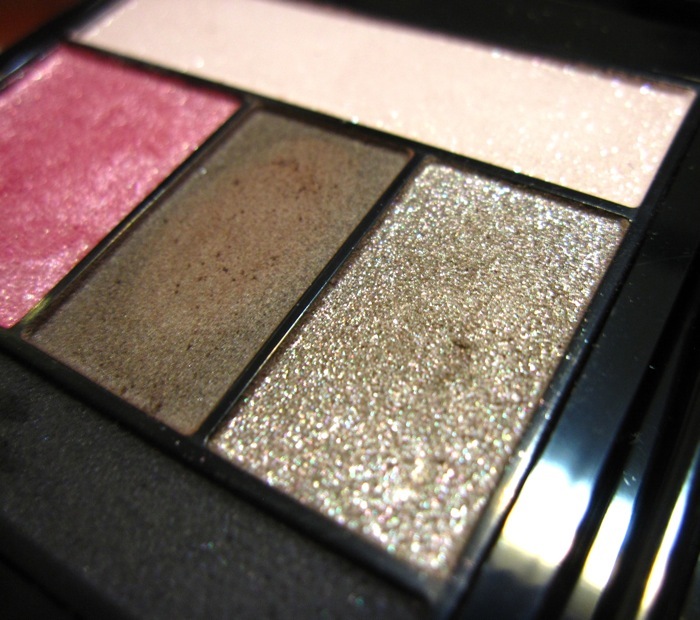 The micro-sparkles are only visible when one looks very closely. The Addiction lipgloss in Jealousys is from the Aurora Reflection fall collection. 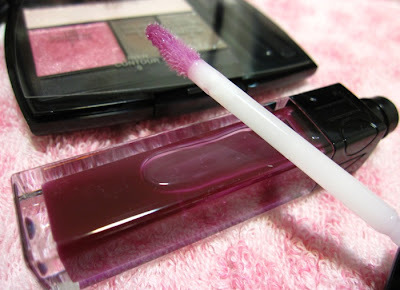 It looks like a deep grape in the tube but on the lips, it applies with just the barest hint of colour. 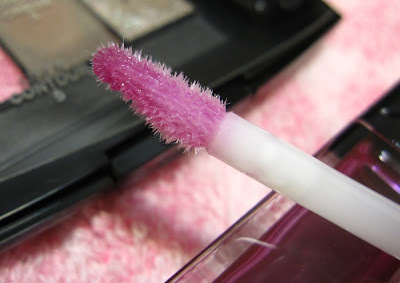 I was disappointed in this as it looks basically like clear lipgloss on me. 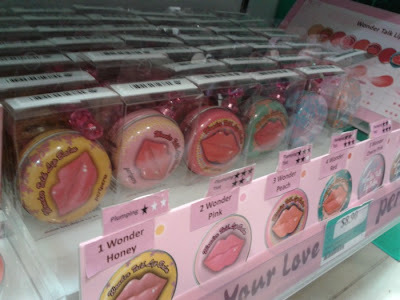 Nevertheless, it does keep the lips well-hydrated without feeling sticky and it lasts for up to four hours on my lips. 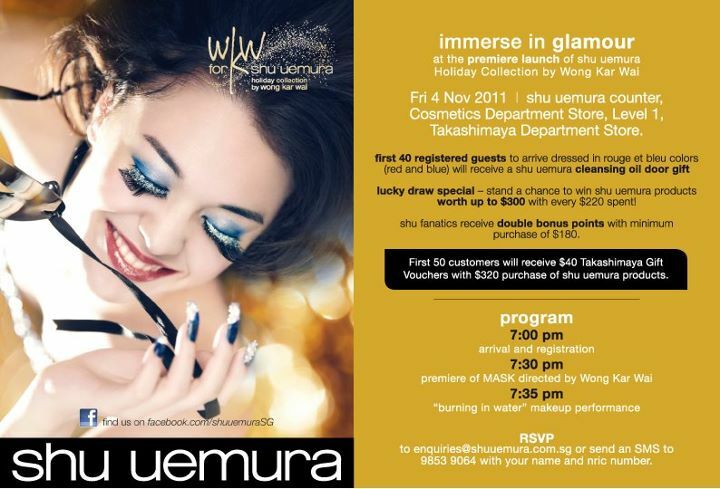 Shu Uemura is launching its holiday collection by Wong Kar Wai at Takashimaya this Friday. 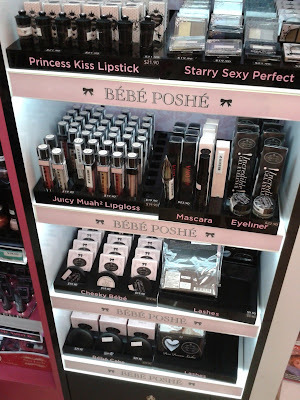 Do also check out Makeup Blogette for her review and swatches, plus the price list for Singapore. 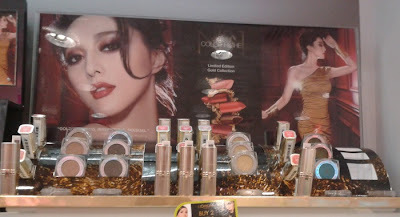 Addiction has updated its website with its Sleepless Nights holiday coffret and new line of false eyelashes in six designs. 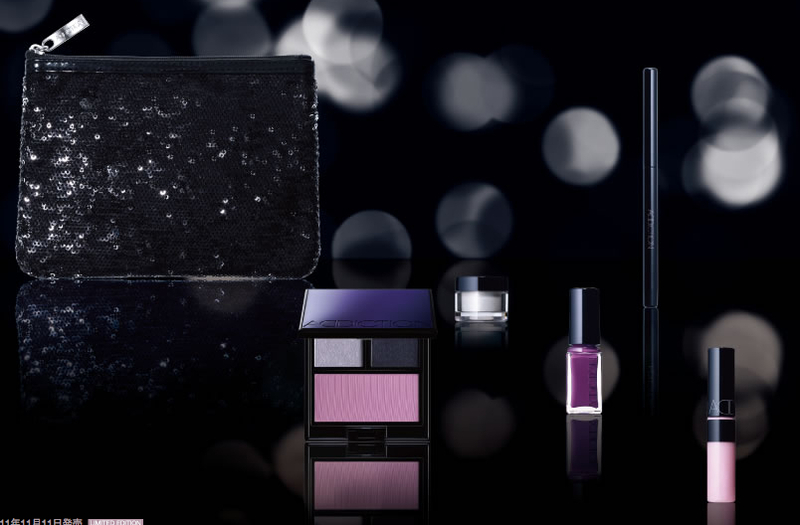 Inspired by the mysterious night sky of the Northern Lights, the coffret includes a compact with eyeshadows in metallic black and silvery lavender with crystal pearl and a petal pink blush, a black eyeliner pencil with violet pink pearl, a petal pink lipgloss with purple pearl, a violet nail polish and an Aurora Veil shimmer powder with orange and silver pearl. You can see three pics of Addiction's Sand Castle collection for spring 2012 on this Japanese blog. 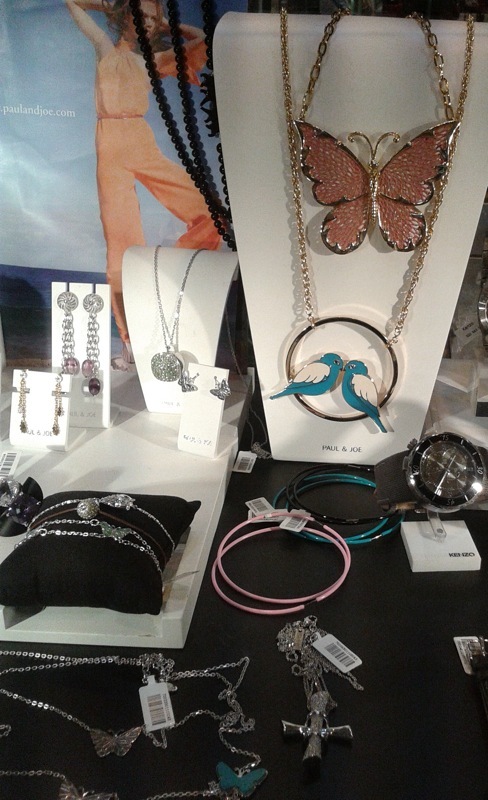 Here's a sneak preview of the spring collections that will be coming our way in a couple of months! The photo was posted on 2Channel without any details as to the source or the brands featured, but this was probably a beauty magazine preparing for their spring makeup feature. 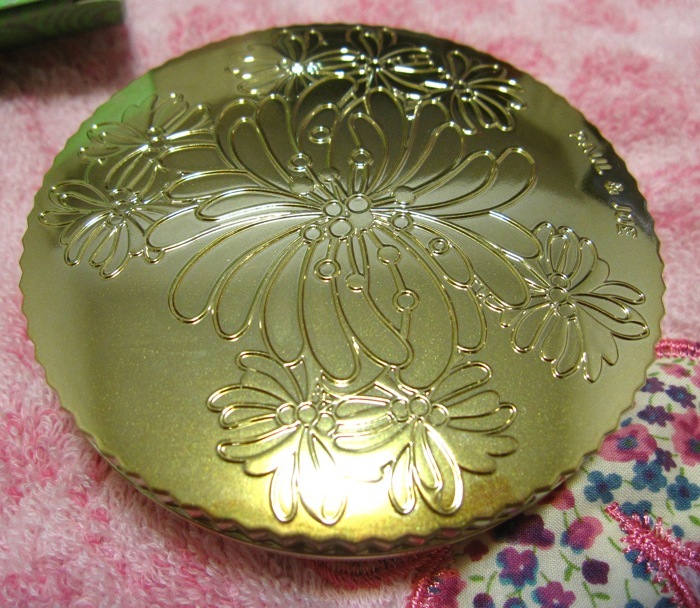 Majolica Majorca will release its spring collection on 21 January in Japan. It includes a new Lash King mascara (1260yen), Secret Joker perfume (1680yen, 20ml) and Blood On (998yen), a NARS Multiple-like product which can be used on the lips and cheeks. Both Blood On and Secret Joker will be limited edition. 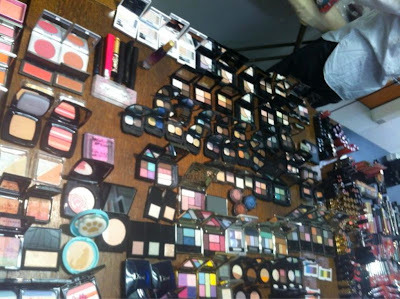 Maquillage will also launch its spring collection on 21 January with a new brand concept, "Our Precious". 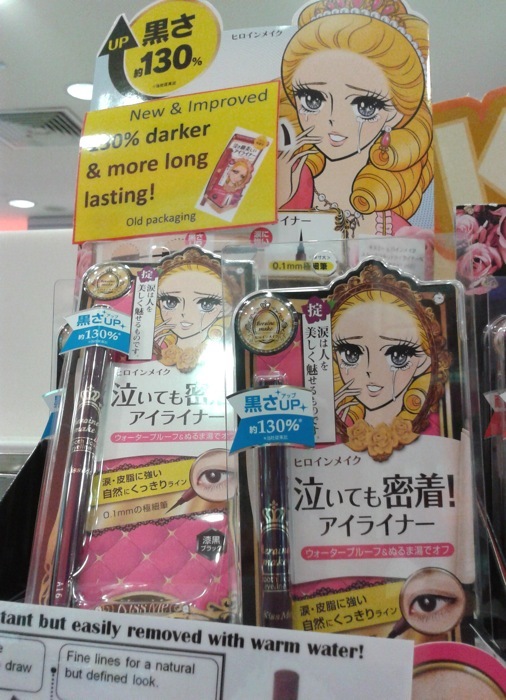 The collection includes a new True Rouge lipstick in 12 shades (3150yen) and four Styling Eyes palettes (3675yen). 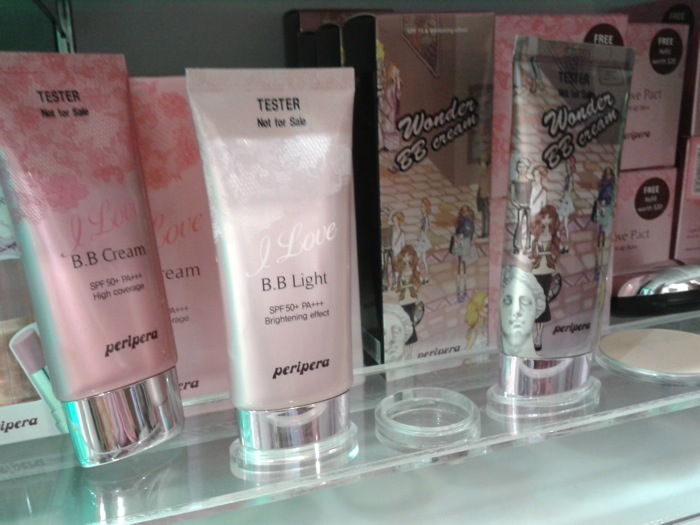 Wandering around the Watsons at Ngee Ann City earlier this week, the array of new brands and products now available was almost overwhelming. 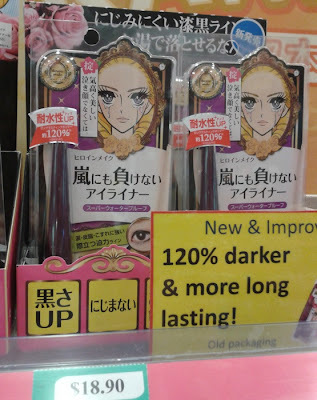 Heroine Make's newly revamped liquid eyeliners boast a more intensely black finish and enhanced lasting power. 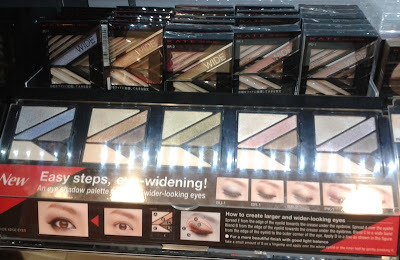 Dolly Wink's base makeup range of liquid and powder foundations, and primer. 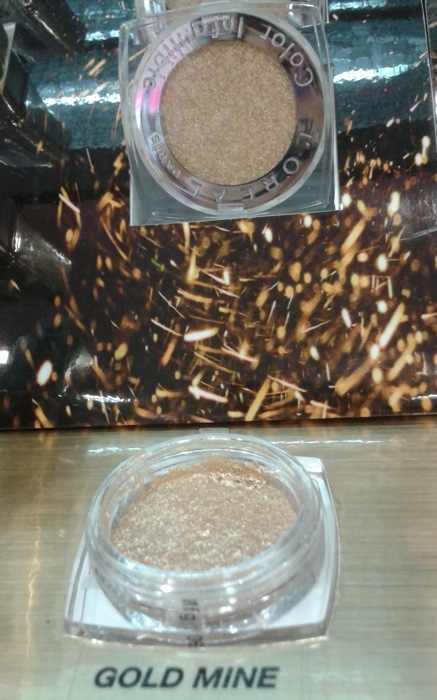 L'Oreal has launched four Color Infallible eyeshadows (S$14.90) as part of its Color Riche Gold Collection. 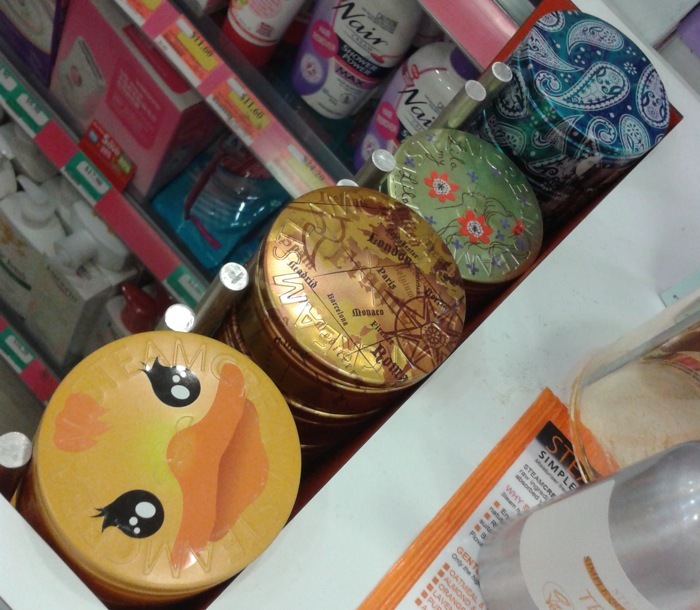 These appear to be brand new shades that I did not come across during my earlier trips to New York and London. 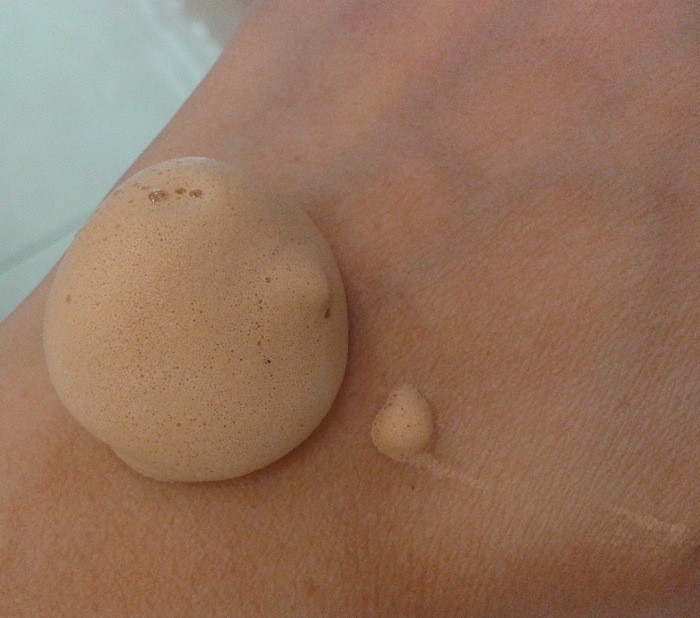 Maybelline BB Pure Mineral Mousse (S$23.90) is a lightweight option to the heavier BB creams. The airy mousse texture reminded me instantly of Shu Uemura's UV Under Base Mousse. Made in Japan, the Maybelline BB mousse dries down to a matte finish fairly quickly. Bebe Poshe, a Taiwanese makeup brand started by four socialites. 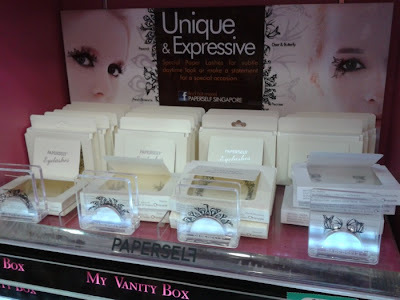 Paperself lashes inspired by the Chinese art of paper-cutting. 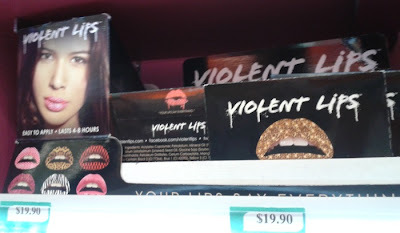 Violent Lips stickers, which are frankly too bizarre for me! Steam Cream is now also available at Watsons. 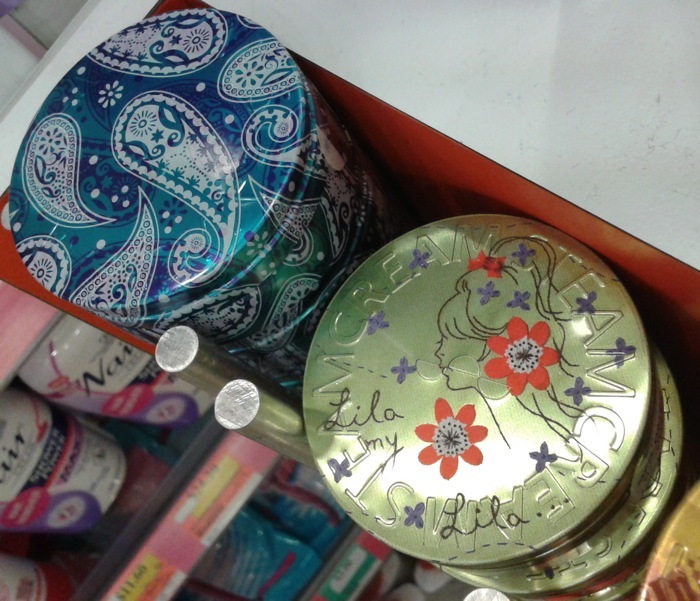 With each purchase, you can enter the lucky draw to win a special Disney tin. 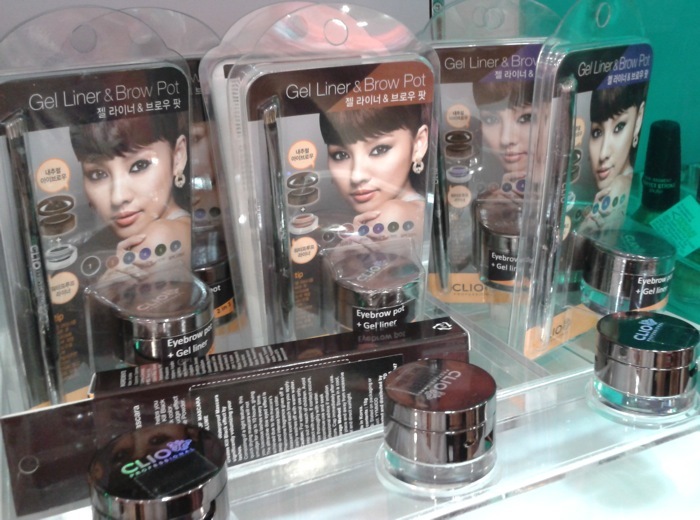 Also freshly arrived is Clio from South Korea, which seems to be quite affordably priced. The BB Creams, which are de riguer for any self-respecting Korean makeup brand. 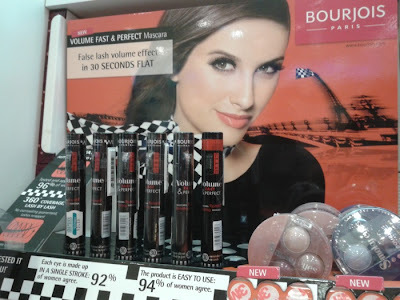 Bourjois Volume Fast & Perfect Mascara and two new Smoky Eyes trios. Nothing too exciting there but I'm looking forward to the release of their new Flower Perfection range, which looks very promising. 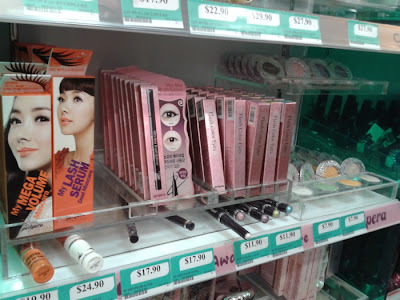 You can see a video review on Simone Loves Makeup. 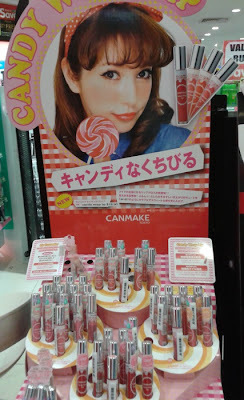 Canmake Candy Wrap Lip (S$18.90). 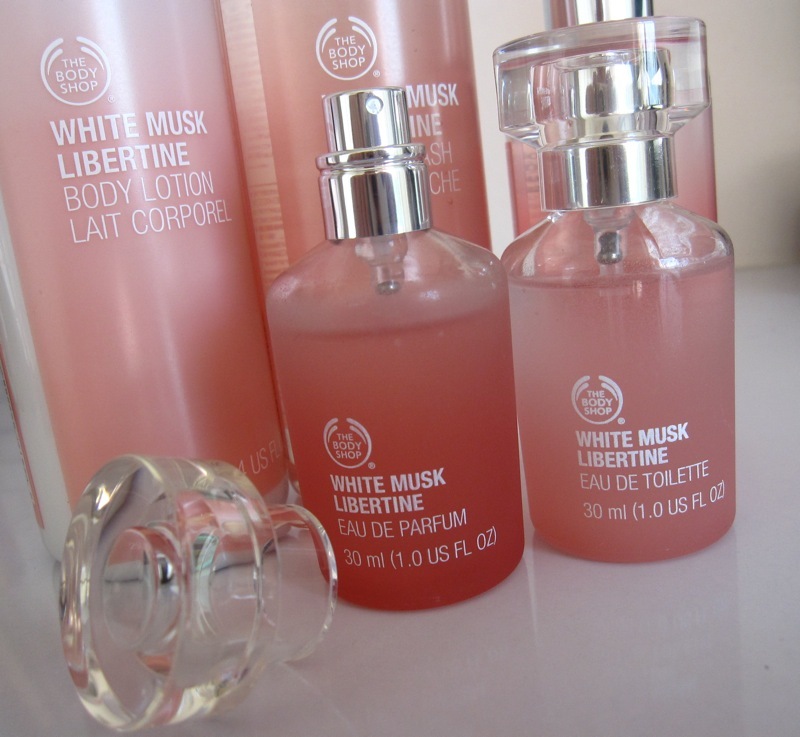 This fall, the Body Shop is celebrating the 30th anniversary of their popular White Musk fragrance with a new White Musk Libertine fragrance line. 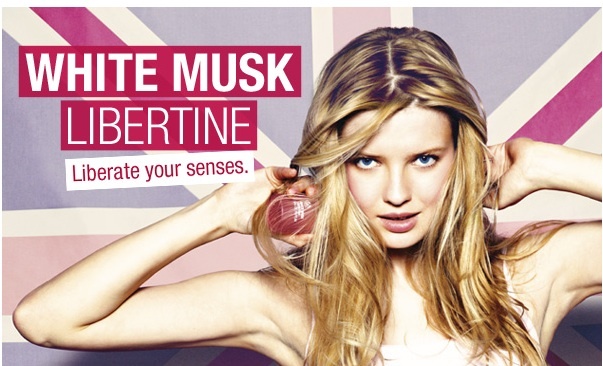 Created by Dr Vincent Schaller and inspired by carefree modern libertines who are always ready for an adventure, the fragrance is sensual and playful with a unique composition of 65% rare musks. 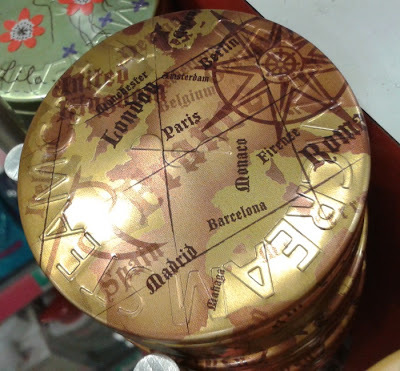 It opens with a contrast of spicy Turkish Delight with sweet Chantilly cream, which transition to the feminine middle notes of Sherry Baby Orchid and Taire flower while the base musk notes add a touch of warmth. The White Musk Libertine line includes an Eau de Parfum (S$38.90/30ml), Eau de Toilette (S$26.90/30ml; S$36.90/60ml), Body Lotion (S$22.90), Bath & Shower Gel (S$16.90) and Body Mist (S$19.90). 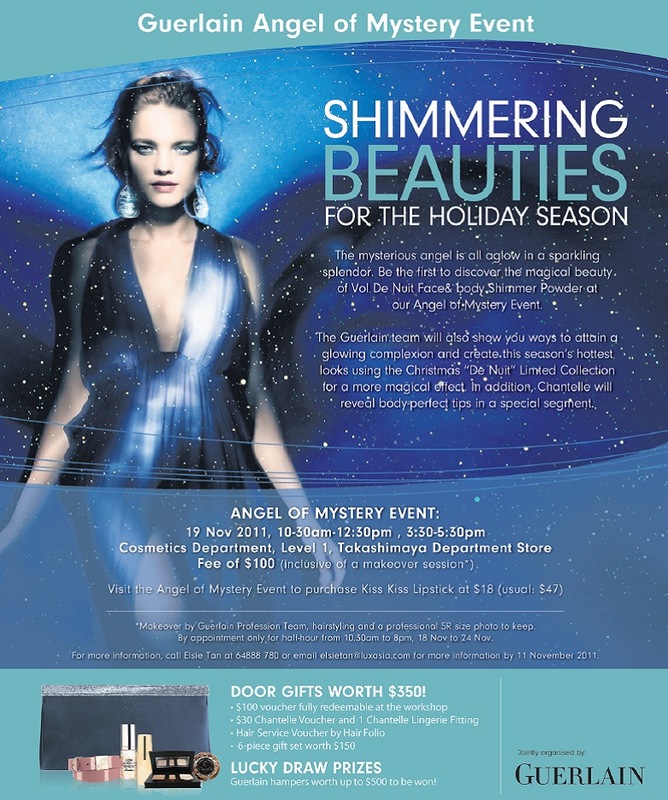 The fragrance is formulated with Community Fair Trade organic alcohol made from organic sugar from Ecuador. 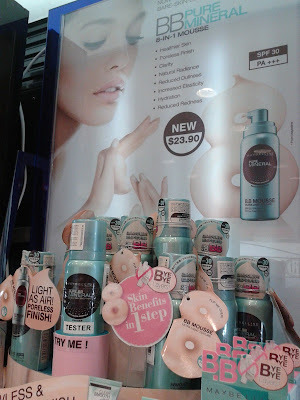 Currently, the Body Shop is offering two promotional sets with the EDT, which can be viewed here. Personally, I liked the Eau de Parfum more than the Eau de Toilette as the comforting warm, floral character of White Musk Libertine is much more distinct in the Eau de Parfum but without being overpowering. It lingers on my skin for about three hours. 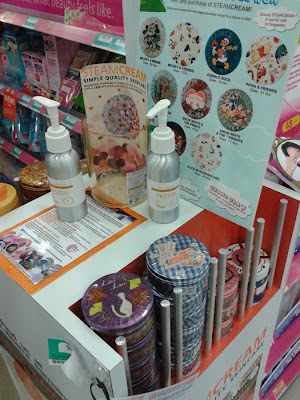 The body lotion is well-suited for Singapore's humid weather as it has a light consistency that absorbs readily into the skin without any greasy feeling. Its scent is far more subtle with less warmth than the Eau de Parfum. A behind-the-scenes look at the shooting of the ad visual. 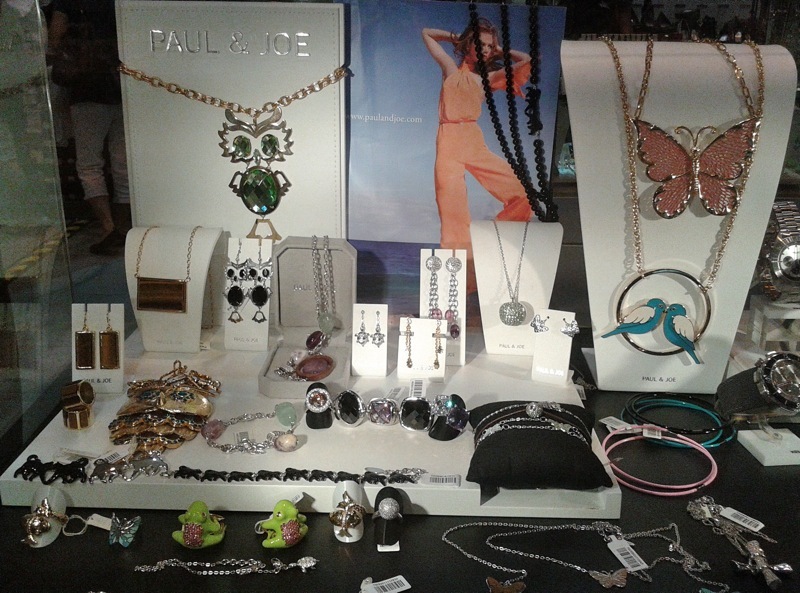 Aside from Tokidoki bags, Paul & Joe accessories are also on sale at Takashimaya (at level basement 2 of Ngee Ann City). 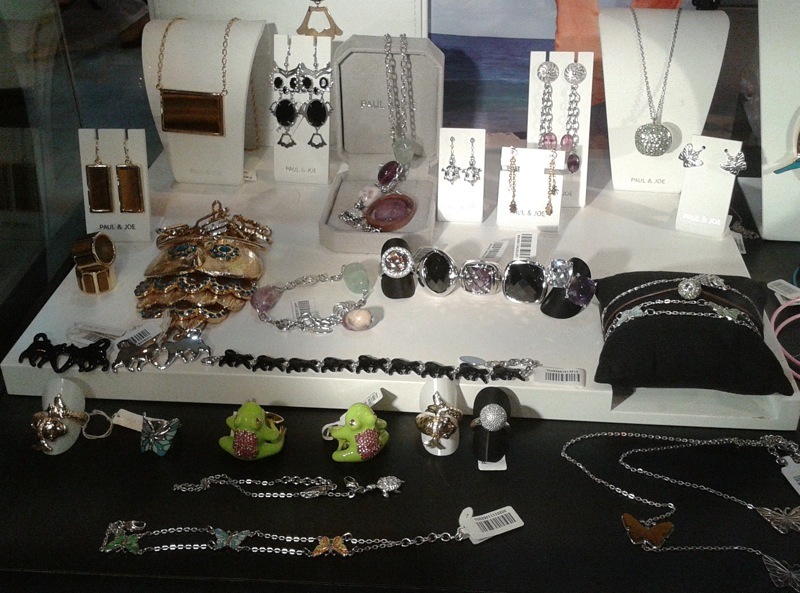 It's an eclectic selection of bracelets, necklaces, rings and anklets with owls, tortoises, butterflies and birds. The sale runs until this Sunday. 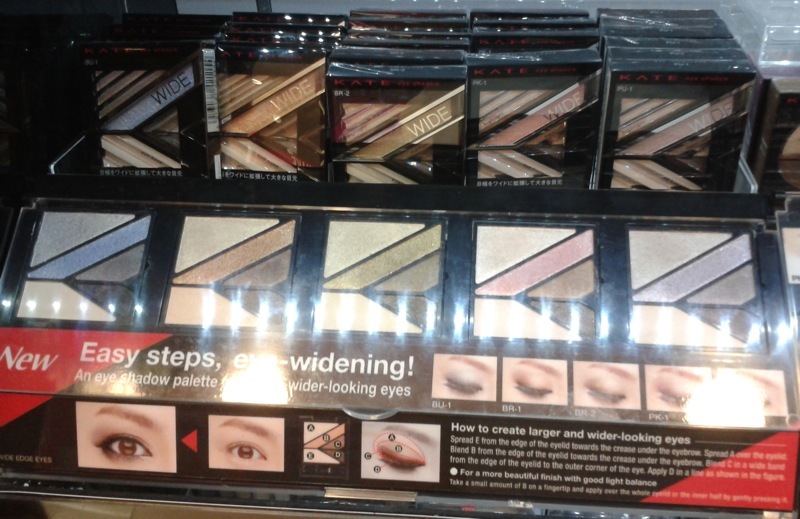 The makeup brands on sale include Elizabeth Arden, Fasio, Paul & Joe and Guerlain. 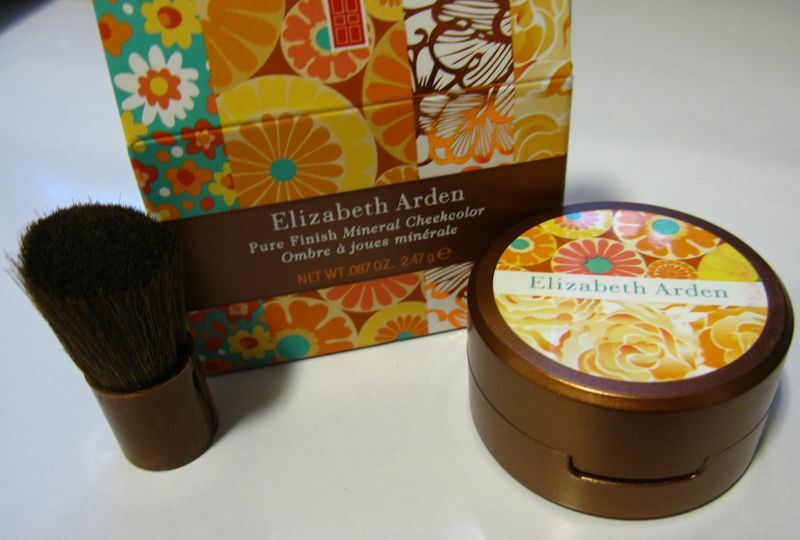 I picked up the Arden Pure Finish Mineral Cheekcolor in Sunkissed Rose for S$25, down from the original price of S$40+. This is also available in Sunkissed Coral, which has been reviewed on Makeup & Beauty Blog. The brush is scratchy and pretty much worthless but I liked the cheerful summery packaging and the shaving mechanism. 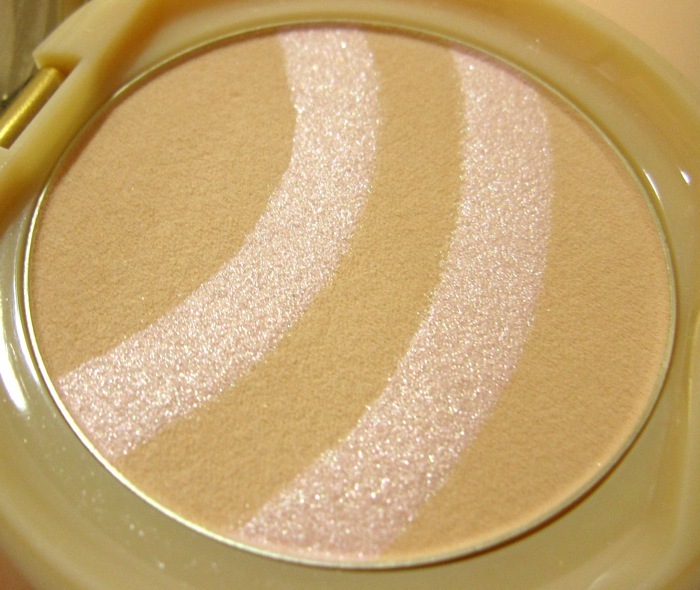 Sunkissed Rose is a sheer glowy rose pink.